Kangana Ranaut, Queen of Jhansi movie, “Manikarnika.” Song Vijayi Bhava, always victorious not. Evil’s response by MK Gandhi. Are moral claims justiciable? MK Gandhi and the Kashmir issue; Empire and Democracy = Terror. Satyagrahis were moralists. Check the dictionary definition below. For a dictionary definition of moralist as it pertains to Satyagraha in South Africa, British India. https://www.vocabulary.com/dictionary/moralist. Jagave Saari Naina, raise your eyes towards the heavens. Mirza Ghalib, Roshan Kumari, Kathak. From the movie, Jalshaghar, directed by Satyajit Ray. Meheranjani Kathak; An invocation for God Shiva and Goddess Parvati. Swadeshi movement. (One’s own Country.) Movement for a Modern Bengal’s failure begun in 1901 and ended in 1947 with the partition of British India into India, Pakistan and later Bangladesh. In 1905, the first partition in Bengal 1905 was implemented as an administrative preference, making governing the two provinces, West and East Bengal, easier. While the partition split the province between West Bengal, in which the majority was Hindu, and the East, where the majority was Muslim, the 1905 partition left considerable minorities of Hindus in East Bengal and Muslims in West Bengal. While the Muslims were in favour of the partition, as they would have their own province, Hindus were not. This controversy led to increased violence and protest and finally, in 1911, the two provinces were once again united. However, the disagreements between Hindus and Muslims in Bengal which had sparked the Partition of Bengal in 1905 still remained and laws, including the second Partition of Bengal in 1947, were implemented to fulfill the political needs of the parties involved. Modern Bengal NOT. The partition of Bengal, 1905 and the beginning of the Swadeshi movement by MK Gandhi and other leaders of the resistance movement against the British Government which eventually failed due to the political infighting between the Hindus, Muslims and Britain. The consent theory of power. 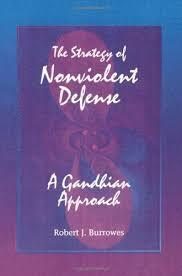 Nonviolence and obedience according to non-violent experts, Satyagrahis. MK Gandhi and Churchill a dialogue on power, morality at its worst. GANDHI: If I had been still alive at the time of your death, Sir Winston, I should have found it difficult to say very much that was favourable in your behalf. I hope you will at least appreciate the frankness of this confession. CHURCHILL: Not only its frankness, Mr. Gandhi, but its justice. -After all, I had no kind words to offer in your behalf upon your death. GANDHI: Well, I do not take it unkindly that you should have called me either “half-naked” or “seditious.” For, indeed, both were true of me: I was a revolutionary in a loincloth and am not insulted to have you say so. But that you should call me a “fakir”-a monk. I know what insult you intended by this. You intended to deny me the honour of sharing your own calling-that of a statesman. CHURCHILL: Exactly so. Though why you should feel insulted by this I’m sure I don’t understand. It was just as much a statement of fact as that you were “seditious.” A monk, a mystic, a visionary-you might have been any of these. But a statesman-never! GANDHI: I hope you will explain this to me, Sir Winston. A statesman is one who leads people, is he not? You must admit that many people followed where I led-in fact, many more, I think, than ever followed’ you. 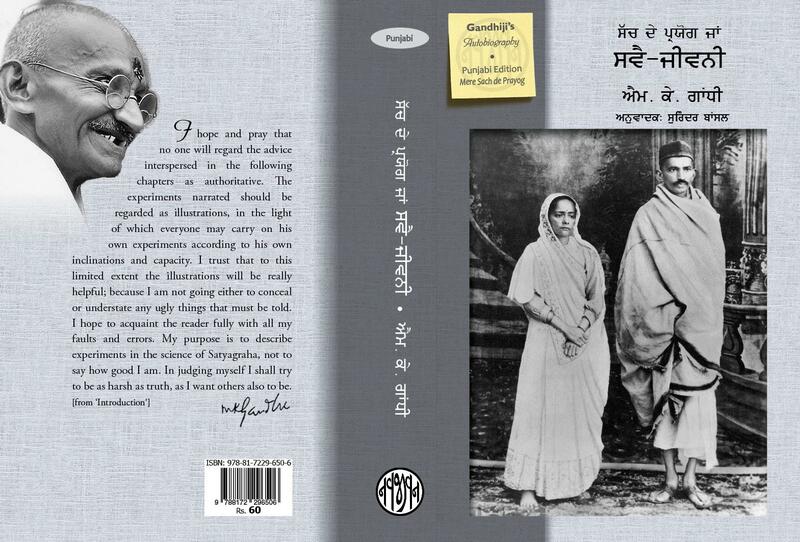 GANDHI: I shall leave to one side the question of who bears the responsibility for both India’s disunity and her poverty. I doubt this is a matter that any British politician could pursue very far without embarrassment. But surely, Sir Winston, you must give me credit for understanding how to wield power. Else how should I have managed to arouse so many millions to the struggle for independence? CHURCHILL: You did that, of course, by playing freely upon their religious sensibilities, by indiscriminately stirring their moral passion. GANDHI: But if this is a transgression, you clearly stand condemned of it yourself. After all, it was your gift of eloquence that inspired the British to their heroic war effort. My fasting and preaching was but the Indian counterpart of your magnificent BBC broadcasts. It seems to me we both stirred our people’s moral passion, for we both knew that a people’s moral passion is the greatest source of political power. GANDHI: I know there will be a “but” in this somewhere. CHURCHILL: Indeed there will: “but idealism at other people’s expense, and without regard to the ruin and slaughter which fall upon millions of humble homes, cannot be regarded as its highest or noblest form.” Painful as it may seem to a man of your “saintly” sensitivities, politics is the art of choosing among lesser evils.for the sake of greater goods. GANDHI: And what was the obliteration bombing of “millions of humble homes” in Dresden and Hamburg deed for which you bear the primary responsibility? Was this a lesser evil or a greater good? CHURCHILL: A great, a regrettably great, but still a lesser evil; a strategy that helped crush the enemy and end the war all the sooner. And so to save many innocent lives. divide ends from means, even when this is done by a good man, is the beginning of evil and ultimately of political disaster. CHURCHILL: Well and good But should I then have stinted in waging war against Hitler and by so doing have risked defeat? You know what Nazism meant. You know the risks we ran. finished by annihilating Japanese cities with atomic bombs. CHURCHILL: Eastern Europe need not have suffered its fate, had my wartime counsels not been ignored. CHURCHILL: Do you deny these would have been lesser evils? GANDHI: But when shall we have done with seeking to calibrate and balance goods and evils with such impossible precision! Moral rights and wrongs are not ,simply so many onions and potatoes to be weighed up in a scale. To what last, least perceptible discrimination between the vile and yet more vile does this weighing of evils extend? You yourself called communism “a ghoul descending from a pile of skulls.” Yet you allied with “Russian barbarism” to fight Hitler. You even said, “if Hitler invaded bell, I would make at least a favourable reference to the devil in the House of Commons.” Apparently your “statesmanship” excludes not even an alliance with hell. to weigh blood against blood, crime against crime. GANDHI: I must protest, Sir Winston! How can you call me a political purist? Who would know better than I the perverseness and weakness of men? How many times did I fast to atone for my Himalayan miscalculations of human goodness? Of course there must be suffering and perhaps death wherever there is human conflict. But we shall never have the foresight or judgement to make careful predictions and discriminations your sort of statesman deals in. We think we have chosen a means which is a “lesser evil”- but it perversely generates an end we did not foresee and which is ten times worse than the evil we sought to elude. So I insist: what we really know of good and evil lies here before us in our immediate action. We must be good and do good now, not later. “The only guide to a man is his conscience.” These are your own words. CHURCHILL: Then what would you have had me do when the enemy was at our gates? Advise my people not to defy him? GANDHI: The enemy at your gates in 1940 was the product of a long catalogue of vengeful and selfish actions in the 20 years before 1940-and further back than that. A catalogue to which your own people contributed heavily. Hitler was a monster of your own making. CHURCHILL: An observation I made myself many times. I shall not dispute that. But you avoid my question: when he was at the gates, what should I have done then? Surrender? Should I have let him crush our liberty, destroy our dignity, our very souls? GANDHI: I presume you speak symbolically, Sir Winston. It was, after all, not you who resisted the Nazis. It was the British people as a whole-as you yourself said: they were the lionheart, you were but the roar. Suppose Hitler had occupied your country. Occupation does not imply surrender. Could Hitler have destroyed the souls or dignity of the British people, with their proud Dunkirk spirit? The British who occupied India could not destroy our souls or dignity. Were not your gallant people prepared to fight on the beaches, in the streets? CHURCHILL: If it came to that, yes. But we would not have fought nonviolently as you desire. That would have been useless. GANDHI: You say that, despite the victory we achieved over Britain by nonviolence? CHURCHILL: You did not achieve that victory from my government, remember! GANDHI: But we would have, you know. Even you we should have “weaned from error by patience and sympathy”– or forced into compliance by sheer dogged resistance. And out of our nonviolent struggle you see what has come: we have freed ourselves and we have made you a better, prouder people, because we avoided as far as possible bloodshed and hatred and so forced you to recognise the criminality of your position in India. but for your revolutionary precipitousness, the Raj should have matured toward greater justice and enlightenment. GANDHI: How typical of you, Sir Winston! Such patrician generosity. So long as the downtrodden whether they were your own British working classes or our Indian masses-were willing to ask politely,wait patiently and accept with thanks, then of course you could be magnanimous with them, like a good father rewarding his children for their obedience. You could give social insurance and generous measures of self-rule. Never all the underprivileged wanted, but something more-than they had. 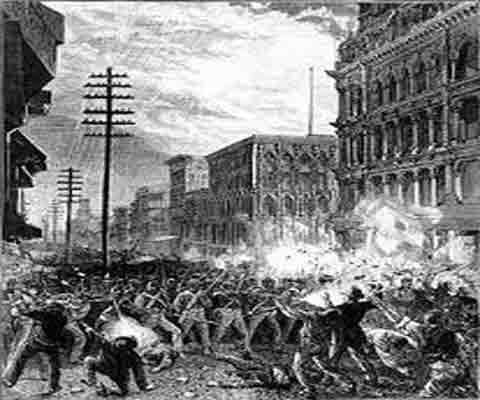 But let them once demand their rights and reach to take what was rightfully theirs-as your workers did in the General Strike-and there was no open hand, only a clenched fist. CHURCHILL: You are deucedly clever at steering a conversation into irrelevant detours. I seem to remember your suggesting that your satyagraha could have been used successfully against Hitler. And your proof, amazingly enough, is that it worked against us in India. This is a very crooked argument, Mr. Gandhi. There is simply no comparison between the British Raj in India and the Nazi Reich in Europe. There is all the difference between them that lies between a not quite cloudless day and a starless midnight. against other, less humane, less sportsmanlike people I like the Germans. But of course it did! You recall the success of the Norwegian teachers against Hitler. GANDHI: Every situation is an exception. For every situation is unique. How many such “exceptional situations” have men failed to recognise because of their blind commitment to armed force? CHURCHILL: All that you say again proves you are no politician. For you cannot see the most obvious realities. I saw the horror and brutality of Nazism and knew that our flawed society and those of France and America-yes, even that of Russia-were better. We fought through to victory and we survived. Imperfect, yes. But amid our imperfections the ideals that Hitler would have ruthlessly blotted out survive. Satyagraha would have saved nothing from Hitler. War saved something. And intelligent diplomacy-in the Twenties and Thirties-would have saved everything, just as it can save everything now, if the Western nations can keep their heads and their nerve. What you fail to see is the way in which power can serve principle. But principle divested of power is doomed. and yet so cunning, and ultimately so successful against you, as this “seditious fakir.” Indeed, my argument is that the power of love and idealism alone can generate intelligent diplomacy, by which I mean open communication and fair bargaining. What would a little love and honesty have-done in 1919 to prevent 1939? CHURCHILL: And what would a little air parity have done in 1937 to prevent 1939? genocide, the very crime for which you punished the Nazis at Nuremberg. And if you should ever unleash that power, there will be neither principles nor people left in your societies. The technicians have, I fear, rendered your Realpolitik obsolete. CHURCHILL: Not at all, sir. The weapons change, but not the ancient principle: si vis pacem, para bellum. In 1953 1 said, “when the advance to destructive weapons enables everyone to kill everyone else, nobody will want to kill anyone at all.” This is what deterrence amounts to, and what it requires is that we arm and remain armed as never before in history. statesmanship that has always stood between civilised life and the barbarian at the gates. GANDHI: I see, then, we can finally agree on very little. But you know, Sir Winston, though we never spoke to one another in all our lives, I believe there was between us, through our life and work, the greatest dialogue of our time. CHURCHILL: On that we can agree.